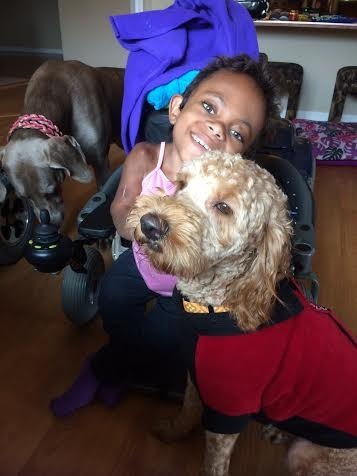 Anicee was recently given the opportunity to have her own service dog and we want that so much for her. � �Pearl was donated by Debbie from Zippity Doodles and is being trained by Ana from Training with Grace. 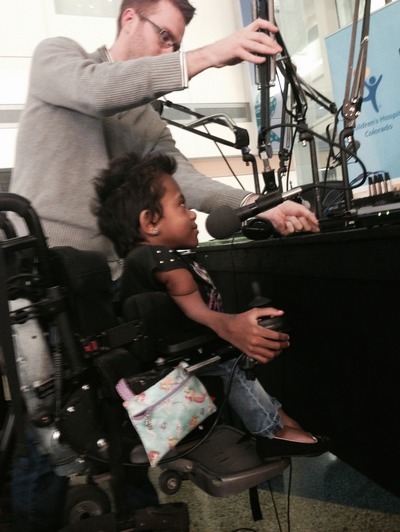 �We hope Pearl will help Anicee with some of the tough parts of having OI. �Ana was at our house with Pearl several months ago and Anicee lowered her power chair to the ground to pet Pearl who was lying on the floor.� All of the sudden, Anicee started crying. When Ana asked what was going on, Anicee said that she was just so happy and she couldn’t believe this was happening for her. � You can follow Anicee and Pearl on FB - Anicee & Pearl. �It’s beautiful to watch them grow together. Anicee has her own bank account and is raising and saving money for her future. �She is raising money not only for the training and care of Pearl, she already has used some money from her piggy bank to get her a beautiful rainbow collar, tags and a Star Wars chew toy. 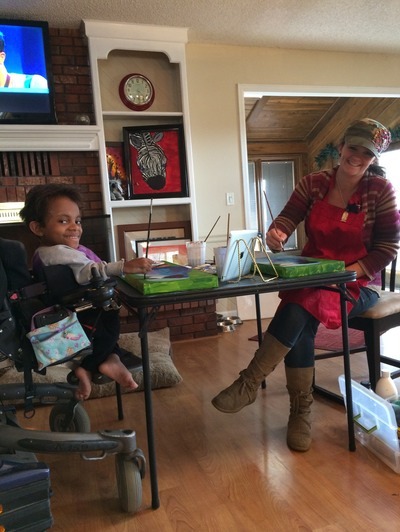 �She is also raising money to continue her painting lessons, which are so important to her, Italian lessons from a private tutor and Anicee loves to travel. �She loves to travel with her grandma to places like Santa Fe to see the art galleries and in October she is going to the Balloon Festival in Albequerque. �Anicee loves to live life to the fullest, she loves to have parties for her friends and she loves to go to shows downtown and eat out at her favorite restaurants. 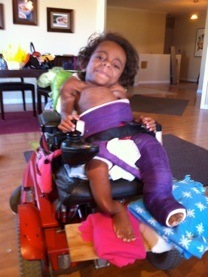 �Please donate whatever you can to help make her dreams come true.� Thank you in advance. Here’s a link to Anicee’s art page! �She has some amazing paintings to share and sell!! !